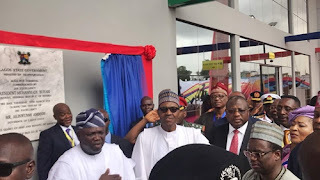 President Muhammadu Buhari is in Lagos on a two-day official visit. 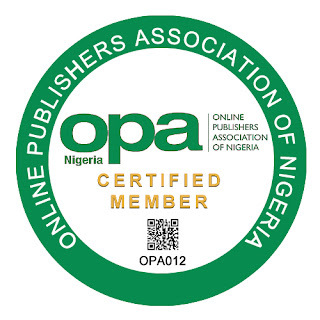 He was received at the Murtala Mohammed Airport the Governor of the state, Mr. Akinwunmi Ambode, the Minister of Information, Alhaji Lai Mohammed, as well as other members of the Lagos State Executive Council. 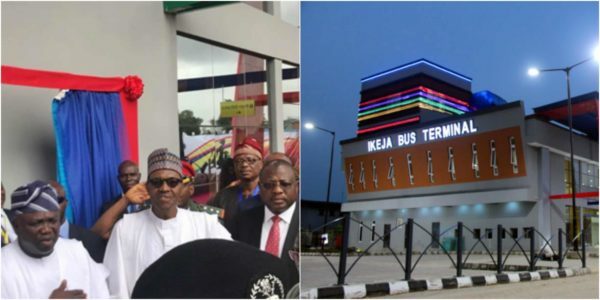 In keeping with his schedule for today, report has it that he has already commissioned the multi-million naira Ikeja Bus terminal built by the government of Akinwunmi Ambode. After the commissioning exercise, PMB as he is fondly called, moved straight to the Eko Convention centre, Victoria Island to attend and chair the Colloquium to mark the 66th birthday of APC national leader and former governor of Lagos State, Asiwaju Bola Tinubu. 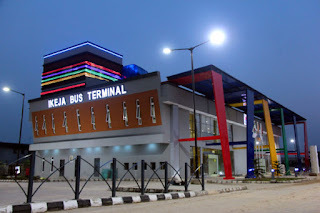 The bus terminal, situated behind the premises of the railway corporation adjacent the Murtala Muhammed International Airport is to connect 22 routes, with over 60, 000 people stipulated to transit through the facility on a daily basis. The Ikeja Bus terminal spans across a 10,000 square metres land and is equipped with Intelligent Transport System (ITS). The fully Air-conditioned facility also has a Food Court, Shops, Toilets, ATM Gallery, Free Wi-Fi, Electronically Controlled shades, among others. Laila News reports, there are 13 similar bus terminals being constructed across the state.